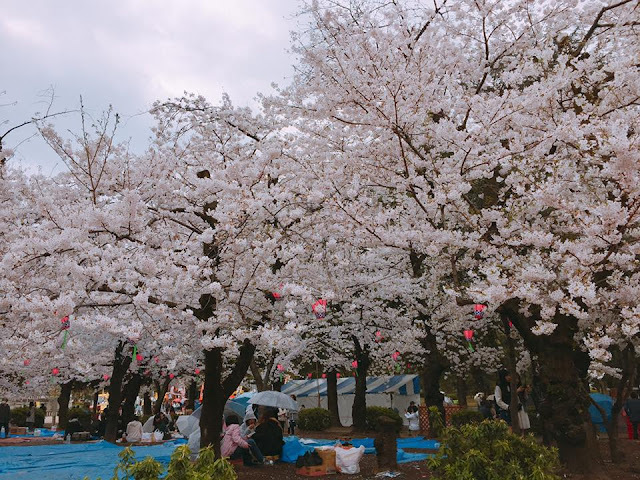 Aichi（愛知）is the prefecture for Nagoya, Japan's 4th largest city. Nagoya（名古屋）is a good base for travelling around the Chubu region（中部）, such as to places like Takayama, Shirakawa-go, Gero Onsen, Inuyama, Kiso Valley etc, and also to Nagashima Resort and Ise Shrine in Mie prefecture to its west. 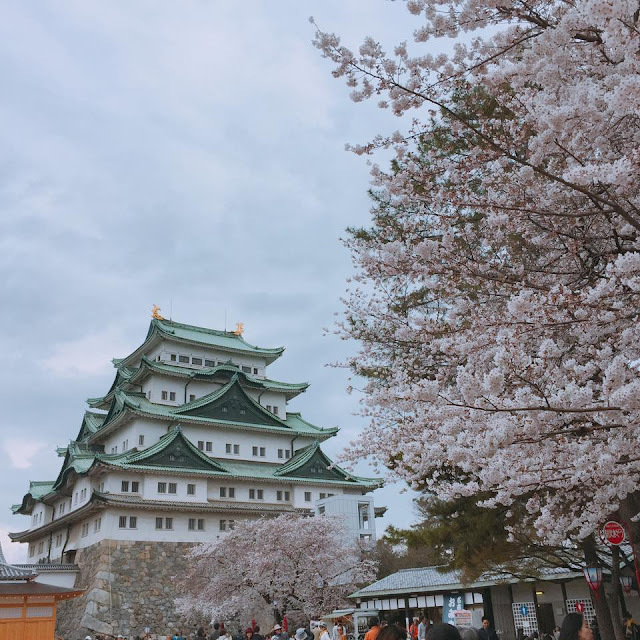 Because of its good location, been to Nagoya a few times during my stay in Kobe, to the extent that friends around me commented that I was always going to Nagoya! And it has many delicious food that are known to be rich in taste (suits me!) and a little unique compared to typical Japanese cuisine. A convenient way of covering Nagoya's attractions is via Meguru bus (no service on Monday). 1 day pass costs 500 yen, comes with discount for various attractions. There are many Tokugawa Ieyasu（徳川家康）related attractions, the ruler that started the Edo period. Most of my knowledge of him comes from the NHK drama-- Gou~Himetachi no Sengoku~. First went to Nagoya Castle（名古屋城）, ordered to be built by him. The exhibits are quite informative and well-translated, with a section featuring the 3 big figures in Japanese history. 2nd stop was Tokugawa-en（徳川園）and Tokugawa Art Museum, full of Edo period exhibits, such as Ieyasu, Toyotomi Hideyoshi and Tokugawa Hidetada's letters and possessions. Happened to come across a light-hearted performance of Himetachi no Sengoku in a building in Tokugawa-en. 3rd stop was shopping at Sakae（栄）, Nagoya's downtown. On another day, visited Atsuta Shrine（熱田神社）, housing a sword that is considered 1 of the 3 sacred treasures of Japan. Nope, not shown to public! 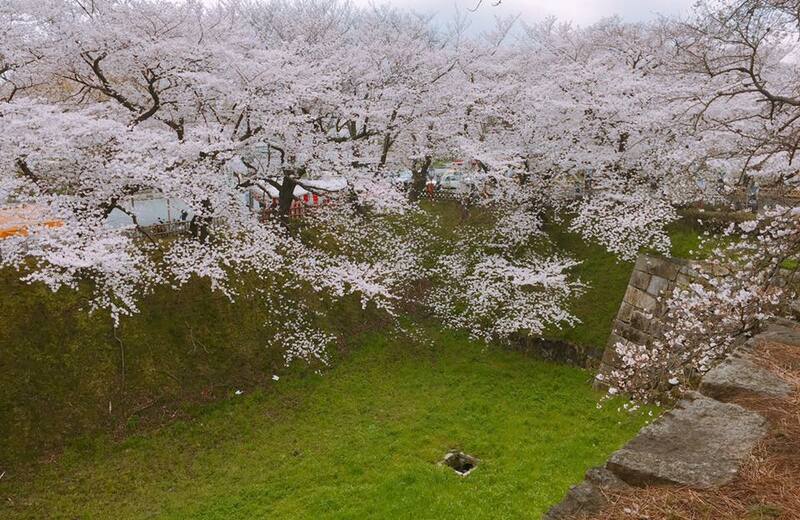 Also went to Inuyama（犬山）, for Inuyama Castle（犬山城）, my last of 12 castles that survived from Edo period. It was going through some maintenance works. Visited a shrine nearby for first praying at shrine for the year（初詣）. 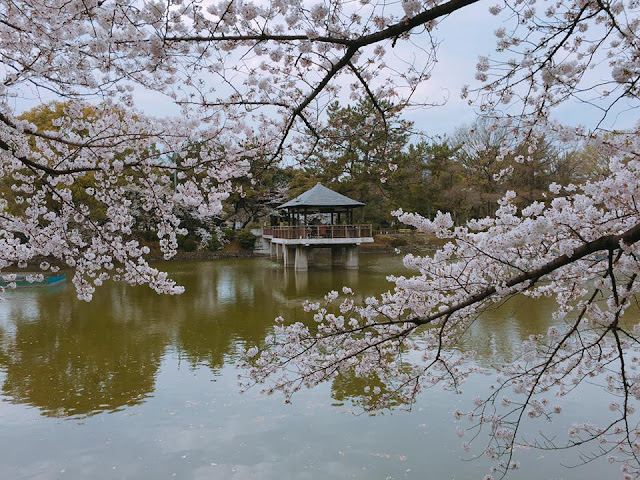 And Sankou Inari Shrine（三光稲荷神社）that became famous due to drama "Hanzawa Naoki", as throwing coins into the pond is supposed to bring many times returns :D And my favorite? Strolling in the castle town! Next visited Meiji mura（明治村）, also in Inuyama. A big open-air museum exhibiting Meiji period architecture. In the same trip, went for a Ghibli exhibition at Laguna Gamagori（ラグナ蒲郡）. Exhibits were more specific to the works, liked it more than the Ghibli museum in Tokyo. There were also hidden characters all over the theme park! 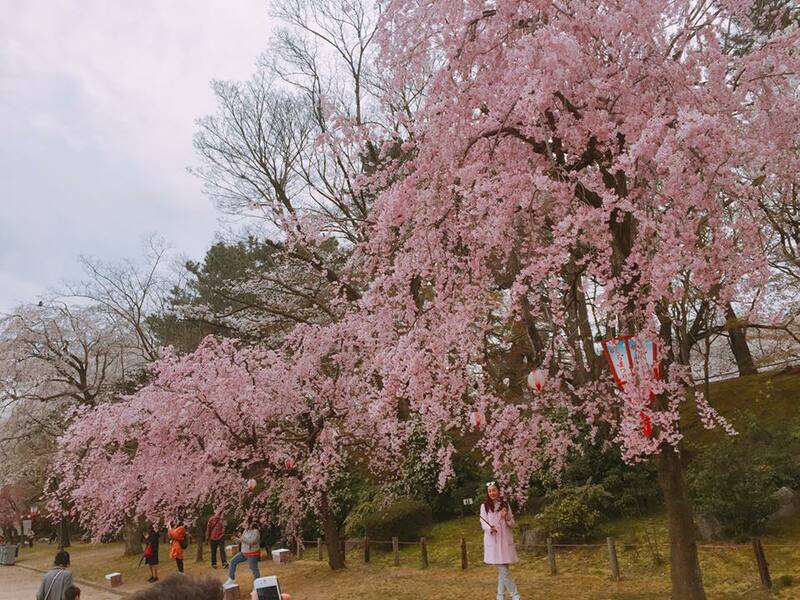 My 4th trip to the prefecture was in 2017 for cherry blossom viewing at Nagoya Castle and Tsuruma Park（鶴舞公園）, 1 of top 100 sakura viewing spots in Japan. Nagoya's food = love! My number 1 favorite being Tebasaki (chicken wings), notably from Sekai no Yamachan（世界の山ちゃん）that currently has about 200 outlets throughout Japan, Hong Kong and Kuala Lumpur! Come to Singapore, please? Its crispy outside juicy inside, and slightly peppery + sweet + salty taste, got me so addicted I had to go to Osaka to eat it at least once a month during my stay in Kobe:P Though standards may vary, some outlets' are too dry. 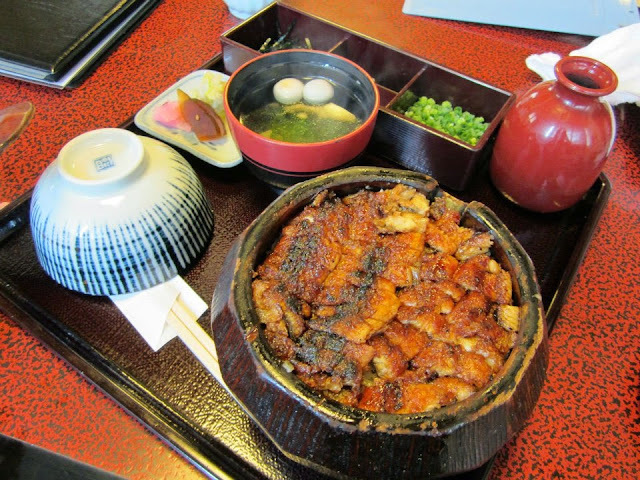 My 2nd favorite is Hitsumabushi (Nagoya's Unagi rice bowl), that changed my impression of eels. It's also crispy outside and juicy inside. Especially love the one at Houraiken（蓬莱軒）, the origin of the dish, though queue can be quite long. Miso Katsu (Fried pork in miso sauce) at Yabaton is huge in size. Not quite my type of cuisine as I don't like fried food to be soaked. Possible to request for sauce to be separated, but "together" is the authentic style I think. Miso Nikomi Udon at Yamamotoya Honten was ranked number 1 Nagoya food in a TV show, but I couldn't quite appreciate it..
Tenmusu (Fried shrimp onigiri) from 地雷也 was delicious~ Other local specialties include Red Bean Toast, Ankake Pasta (Pasta in starchy tomato sauce) etc. As for lodgings in Nagoya, I'd recommend the fuss-free business hotels like Toyoko Inn or L'ouest Hotel near Nagoya station.